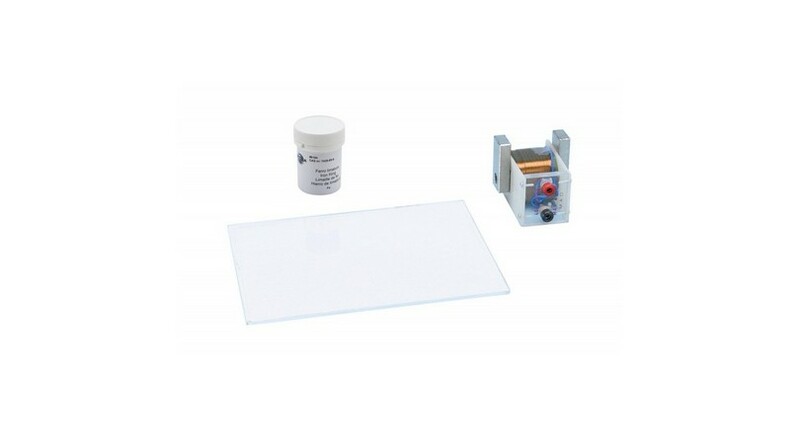 This item consists of a plastic material plate and an electromagnet (composed of an inductor and a metal nucleus) which must be placed under the plate. The item is supplied with a bottle of iron filings and an allen screw to assemble the electromagnet. Maximum voltage: 6V. To be used with DC POWER supply unit.